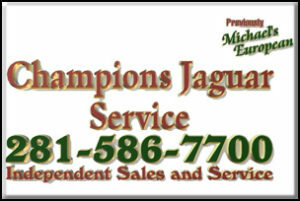 About Champions Jaguar Parts & Service Michael’s European, Inc.
Hi, my name is Michael Davis, owner of Michael’s European, Inc., dba Champions Jaguar Service. 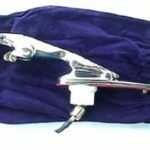 I have been servicing Jaguars since the mid 1980’s starting with an apprenticeship at Dominion Jaguar (now Momentum Jaguar). I received factory training in all phases of Jaguar service and repair, and worked my way up to master technician. As a resident of North Houston, I saw a growing need for a qualified Jaguar repair facility in the area, where every car is repaired properly and where each customer leaves satisfied and more knowledgeable about their Jaguar. We are committed to providing only the highest quality repairs and customer service that Jaguar owners deserve. If you ever have any concerns, please don’t hesitiate to call me, because at Champions Jaguars Service your input helps us achieve excellence.